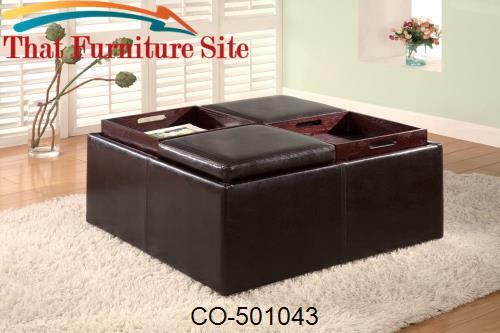 This wonderful contemporary storage ottoman will be a great addition to your living room or family room. 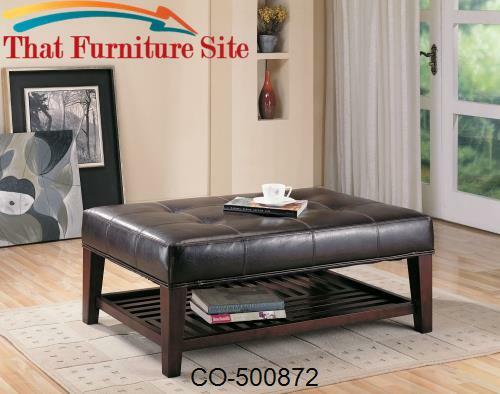 The piece has a simple but sophisticated style, with an oversized square top cushion with accent stitching, which offers a comfortable place to rest your feet, or an extra seat in a pinch. 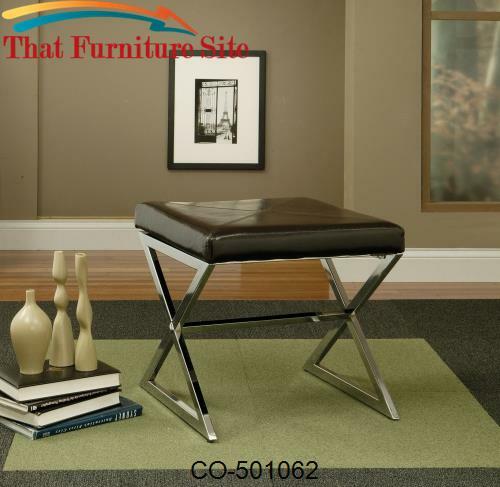 The top lifts to reveal a spacious enclosed storage area, perfect for hiding blankets and pillows when guests arrive. 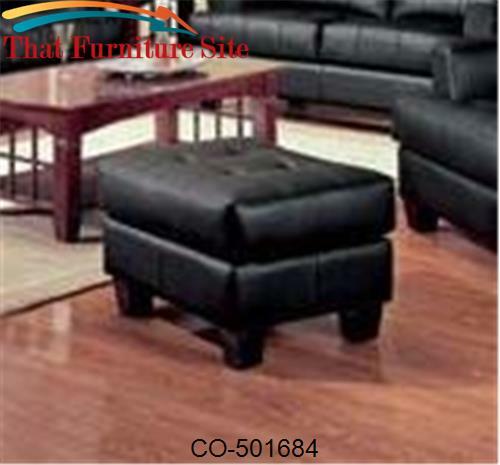 Sleek square tapered wooden feet complete the piece. 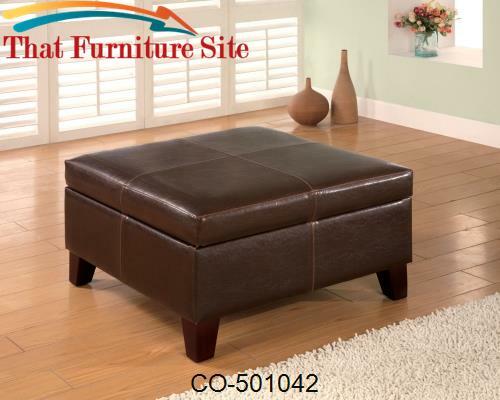 Covered in rich dark brown faux leather, this storage ottoman will blend easily with your decor for a casual contemporary look that everyone will love. 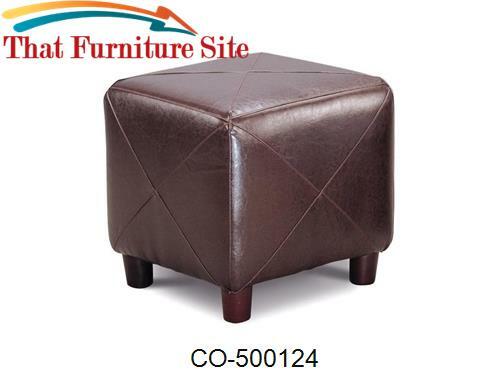 This group of stylish ottomans offers a functional option for every home. 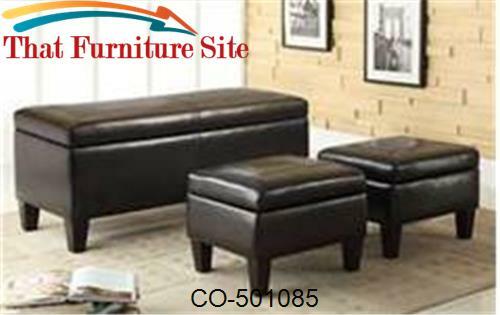 In different shapes, sizes, styles, and fabrics, these ottomans will create a comfortable place to rest your feet, or a cozy extra seat. 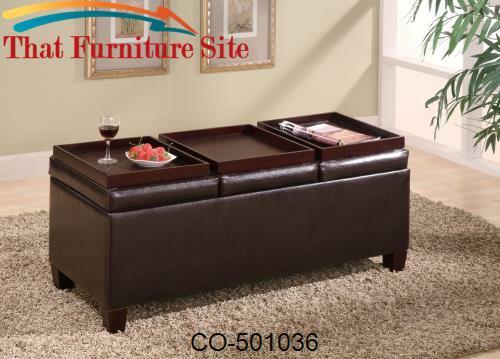 Convenient storage features and tray tops make for great entertaining, while plush upholstery adds to the sophisticated look of each ottoman. 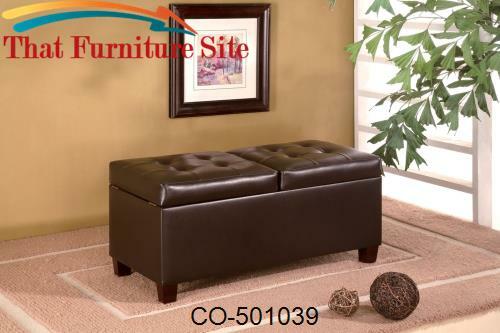 For a simple and stylish completion to your living room, family room, or hallway, add one of these elegant ottomans.